Is there any truth to the body being found by The Florida Mall? The Florida Mall is right by where they're searching. Thank you Brandi, and thank you to all posting links, pics and updates. I hope this is the day Michelle will be found. I hope she is found today too. Looks like LE is trying very hard to find her! Took me forever to find this, but here is S Econlockhatchee Trail between Curry Ford and Lee Vista. 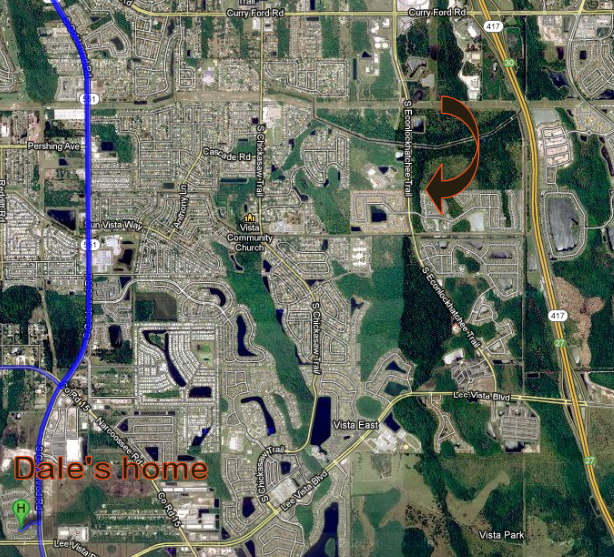 I plotted Dale Jr's house location on it as well. This is where they say the ATV search is being conducted today. Mapped this out for the location reportedly being searched by Dive teams. "Canal between Orange Blossom Trail near Sand Lake (Sandlake) and Jordan Ave. Found a canal there that might be the location. They did say it was near Lake Ellenor. Ewwww...Titch that just gave me chills. ORLANDO, Fla. (WOFL FOX 35) - A dive team from the Orange County Sheriff’s Office is searching a canal near the intersection of Sand Lake and Orange Blossom Trail in their search for Michelle Parker. Authorities converged on a canal about halfway between Lake Ellenor and Lake Conway near Orange Blossom Trail and Jordan Avenue. Both of the lakes have played roles in the investigation so far. 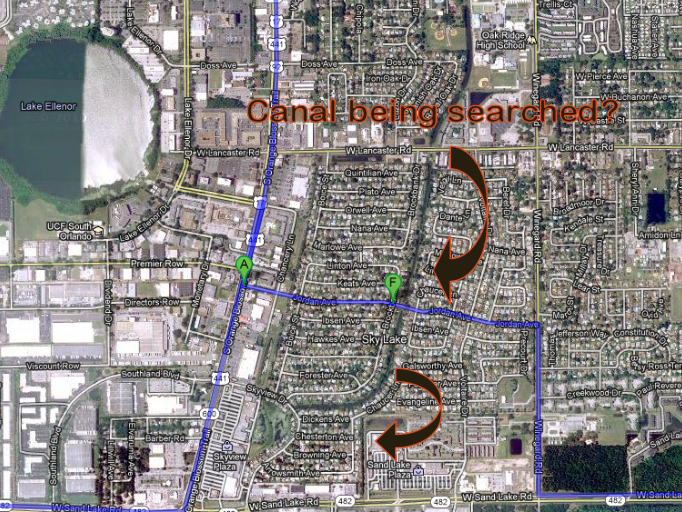 Updated the map, Northern, to show another canal on the map as perhaps where they are searching. Finally we have confirmation on the Nela Bridge. Dang, not another murder. When is it ever going to stop????? Page created in 5.555 seconds with 20 queries.